Now up for auction: a somewhat scarce WWII German handgun. 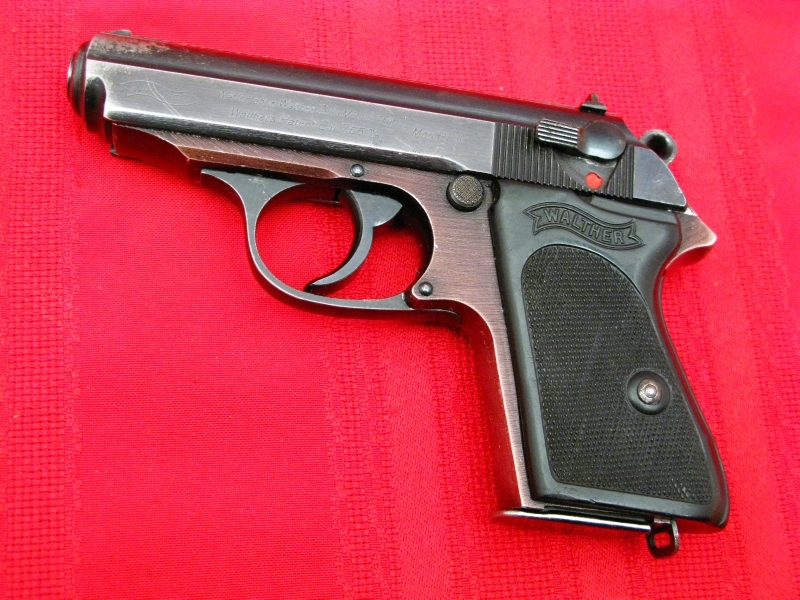 This Walther PPK was manufactured later during WWII and is unique in that it utilizes a lightweight “Dural” aluminum alloy frame. NOTE: Auction ends May 1, 2011. Chambered for the 7,65mm (.32 ACP), this pistol is properly matching, and is NOT import marked. The right side of the slide, chamber and tip of barrel have the Nazi Eagle/N test proofs. Overall condition is very good with the usual fading of the anodized finish on the frame. The slide shows general thinning and some fine pitting near the muzzle and left rear. The original black 1-piece grips are in good condition but do have one crack at the top of the back strap and a small chip beneath the safety lever. The mechanics are in good working order and the bore is excellent with bright, sharp rifling. 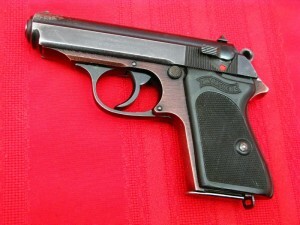 A popular and reliable pistol, this PPK would be especially easy to carry weighing in at less than 17-ounces.